A neglected or broken tooth can be expensive to fix. Maintaining oral health is an investment that can prevent pain and further expense down the road. We vow to keep our fees fair and reasonable while maintaining the standards of excellent dentistry our patients have come to expect. Rhodes and Slager Family Dental Care is proud to accept all insurances and will file claims on your behalf. We are preferred providers for Delta, Cigna, and BCBS. We work with you to determine your exact coverage and help you maximize your benefits every year. Repairing broken teeth, or correcting a problem can often be a large investment, and we want to make sure that finances are not a barrier to a healthy smile. We offer several plans that allow you to space out payments so that you are able to decide which plan is most beneficial for you. Dr. Rhodes has been my dentist since 1999. I told my boyfriend, if we get married, I'll go to your church, I'll move to your town, I will even use your bank; but I will not leave my dentists' family. After all these years, this Godly man is getting a well earned break. If you are his patient do not worry, he is leaving us in good hands. I have met Dr. Slager, and let him work on me and he passed my test. He was great! He is also a family man, like Dr. Rhodes, and they are wonderful. Dr. Rhodes, you are not working on my teeth, but God has great plans for you and your family. Sweetheart, you know what this means, I'm keeping my team. Easily the most pleasant experience I've ever had in the dental chair or any other medical setting! 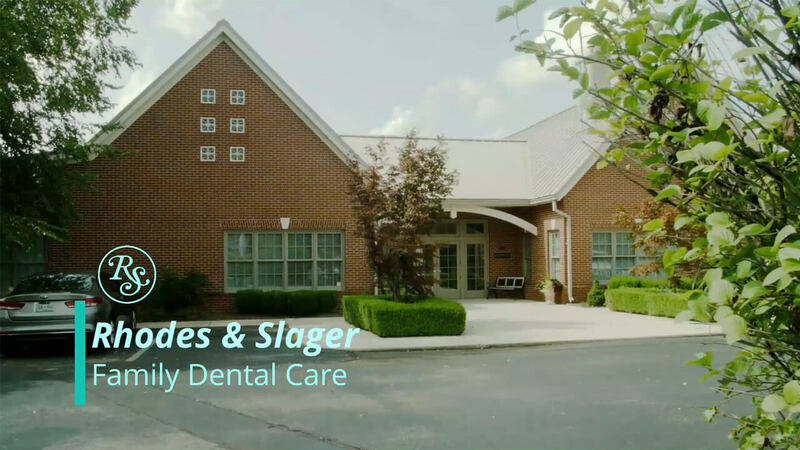 Dr. Slager and his staff are extremely courteous, competent, and a blessing to our community! I appreciate that the staff is ready for you right at your appointment time. Thank you for not over-booking patients. This allows little to no wait time, and allows me to feel like nothing about my appointment is rushed. Dr. Rhodes is wonderful, and Dr. Slager is a fantastic addition to the team. This is truly a professional and kind practice, and you are treated with kindness and respect. Thank you! Dr. Slager is amazing! He found and fixed a cavity that my previous dentist tried to cover up, which saved me a lot of pain and extra dental work in the future! Dr. Slager also removed my 4 wisdom teeth and it was completely pain free! I didn't even feel the shots!